CCGs are collectible card games (aka trading card games or TCGs), such as Magic: the Gathering and Pokemon. 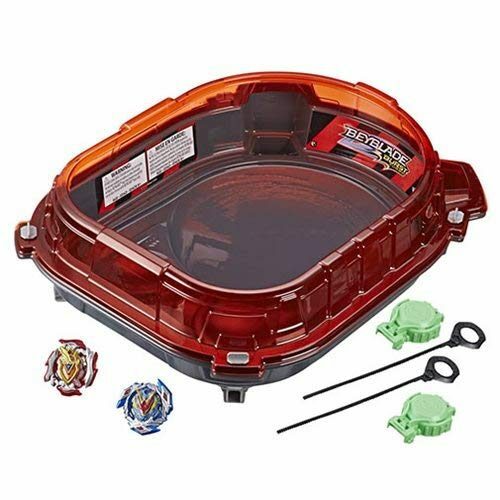 New in the Beyblade Burst Turbo line from Hasbro are SlingShock beys and stadiums. The beys have adjustable performance tips that extend, helping the beys ride through furrows in the stadium floor. The furrows, referred to by Hasbro as “rails,” guide the beys around wide arcs and then right at each other. The setup makes for battles with more direct clashes. Until tomorrow, Game Night and Saving Stone, two novels by Jonny Nexus about gods playing roleplaying games, are free in Kindle versions. Save 20-25% on Strat-O-Matic Baseball with different coupon codes depending on the card set. Fourteen games are on-sale up to 40% off in Revolution Games’ simply titled November Sale. For the next month, get free domestic shipping on orders of $125 or more direct from Fantasy Flight Games. At Bundle of Holding, the Tentacles 5 offer collects mostly Cthulhu horror scenarios starting at $6.95. By Family Clan Blog, either Triominos, Othello, or Rummikub from John Adams (UK). By Rolling Solo, a Kickstarter pledge for Cloudspire from Chip Theory Games. By Born 2 Impress, a package of five board games. 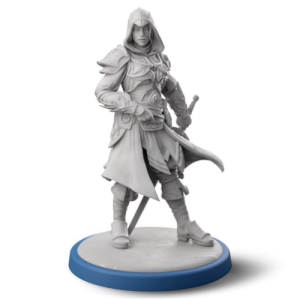 Privateer Press recently announced openings for a Resin Caster and a Warehouse Clerk. Both are entry-level, hourly positions in Bellevue, Washington. The company also still has open a job for a full-time Studio Painter. UK (Norwich) online retailer Zatu Games has several openings, including Marketing Communications PR Intern, Product Administration Apprentice, and Stock Room Assistant. Another, Trainee Buyer, will be responsible for creating purchase orders and managing procurement procedures. Chess Geeks in Portland, Oregon, which is looking to expand its product line with more traditional strategy games, as well as reach additional retail outlets, is recruiting for a General Manager and a Customer Service Manager. All Things Equal in Miami Beach is looking for a part-time Graphic Designer with 1-2 years of experience and knowledge of Adobe Creative Suite. WizKids is recruiting for a Board Game Project Manager in Hillside, New Jersey to manage the process of producing and marketing games. Some project management experience is required but it need not have been with games. The company is most concerned about applicants ability to multitask. Executive recruiter Gameplan Europe is helping to fill the position of Country Manager (Canada) for the North American subsidiary (based in Plano, Texas) of a European toy and game company. [Sounds to me like Goliath.] Significant sales experience in the local market is required. 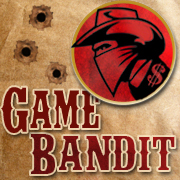 Brand Manager Games (Wooburn Green, UK)—A marketing focused position for Spin Master Games, Cardinal Games, and Marbles. Product Development Manager (Long Island, New York)—Leading a team of engineers developing products from concept to production. Manager, Bakugan Community Development (Los Angeles, California)—A communications job connecting brand teams with Bakugan player communities. Warhammer Events Manager—Organizing events around the world. Operations Manager—Six month fixed-term contract making sure the design studio is working effectively and efficiently. New Business Developer—Signing up new retailers. Forge World Model Designer—Digital 3D design. Citadel Miniatures Concept Artist—Where illustration is secondary to conceptualization. Azure Media, the toy and game media planning and buying division of Havas Media in London, is searching for an Account Manager. The role involves client management and planning and while 90 percent of client spend is still on commercial television airtime, digital knowledge is necessary. ACD Distribution has an entry-level opening for a Sales Assistant in Middleton, Wisconsin. Responsibilities include preparing sales orders, maintaining customer information, and running reports. Asmodee North America in Roseville, Minnesota has several warehouse job openings, one for a Controller, one for a Production Coordinator, and three for Toy and Gift Sales to focus on specialty retail. Cryptozoic in Lake Forest, California is recruiting for a Production Manager to handle licensed collectible trading cards. The work includes creating schedules and working with manufacturing facilities, design teams, and licensors. Save 10% through the 31st in Victory Point Games’ Halloween Sale. Save 10% on the TimeWatch RPG direct from Pelgrane Press with voucher code “BACK2THEFUTURE”. Save 13-75% on select items, plus get a free game or accessory with orders over $25, in the Halloween Madness Sale at Steve Jackson Games’ Warehouse 23. Asmodee North America/Fantasy Flight Games’ annual Holiday Sale is on and running through November 5th. Many items are discounted more than 50% but only available while supplies last. Save 50% on Onyx Path Publishing’s World of Darkness and Chronicles of Darkness screens and deluxe or prestige editions from Indie Press Revolution. Top Shelf Game et al. are giving away Arkham Horror: The Card Game with a variety of upgrades, including travel case, tokens, and card sleeves. Focus Home Interactive is giving away a customized Xbox in honor of the soon-to-release Call of Cthulhu video game. Infinite Black is giving away a set of three wood Cthulhu-themed dice chests. For the remainder of the day, save 30% on everything from Eagle-Gryphon Games (discounts reflected in the shopping cart). Along with a returning Shadow of the Demon Lord bundle from last year, Bundle of Holding has a new Demon Lord Victims bundle with the newest supplements and sourcebooks. Save 25% on select terrain sets from Fat Dragon Games through the 31st. Ravensburger in Germany is accepting applications for 18 month Board Game Internships. The work includes project management, designer relationship maintenance, market analysis, and product testing. Hasbro is interviewing for spring semester (2019) Games Brand Writing Co-ops. These are temporary full-time jobs for undergraduate students and involve developing rules and instructions for games, creating content for party games, and writing for product packaging. Among the more than 100 other job openings at Hasbro, there’s one for a Dungeons & Dragons Game Designer and one for a Manager of Product Design in Adult Gaming. USAopoly has two openings. One is for an Inside Sales Account Manager. One is for a Product Manager/Producer to coordinate “concept, costing, sourcing, design, manufacturing, shipping, and marketing in a cost-effective and timely manner.” Both are located in Carlsbad, California. Konami Digital Entertainment, publisher of Yu-Gi-Oh!, is recruiting for an Organized Play Manager and an Organized Play Specialist. Responsibilities of the former include developing new organized play programs and managing the organized play budget. Responsibilities of the latter include interfacing with tournament organizers on administrative matters, forecasting inventory needs (such as prize support), and maintaining procedure documents. Strategy & Tactics Press in Bakersfield, California is recruiting for a Magazine and Game Component Designer. The job involves magazine layout, creating artwork, and designing game components and packaging. Genius Games in the St. Louis area is looking for a part-time Operations Assistant to organize company records, keep the books, communicate with customers, and manage bank accounts. A number of openings exist at the Pokemon Company in Bellevue, Washington. The job of the Organized Play Associate is to schedule events, manage the contracting process for Premier Events, and coordinate with internal departments to support events. The job of the Events Manager is to develop and implement event plans. The former requires 3 years of experience, the latter 5-7 years. Pokemon also has two openings for Social Marketing Associates to implement the company’s social marketing strategy. Minimum 2 years experience required for this one. The Chicago Chess Federation needs an Executive Director with experience at professional management and fundraising. Jobs for youth Chess instructors abound, in DC, in Palm Beach, in Walnut Creek, California, in Framingham, Massachusetts, in Eden Prairie, Minnesota, another in Eden Prairie, in Nutley, New Jersey, in Union City, California, in Park Ridge, New Jersey, in Midvale, Utah, in Grandview, Missouri, in Brecksville, Ohio, in Leander, Texas, in Atlanta, Georgia, and with four organizations in New York City: first, second, third, fourth. OneBookShelf needs a Senior PHP Developer to help the organization to reengineer its legacy ecommerce system. This is a work-from-home position. 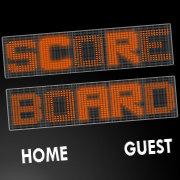 North Star Games in Kensignton, Maryland needs a Marketing Specialist to promote the video game versions of its board games. Two or more years of marketing experience is required and the position pays $30-60k per year. Breaking Games is looking for a couple of new staff members, one for accounting and transaction management and one to assist with Target and Walmart accounts. 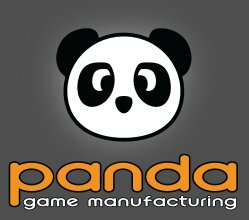 Panda Game Manufacturing has openings for an Account Manager, a Project Manager, and a Prepresss Specialist. The Account Manager’s responsibilities are focused on business development with new and existing customers. The Project Manager’s responsibilities are focused on guiding clients through the production process. And the Prepress Specialist’s responsibilities include verifying that incoming files comply with manufacturing specifications, as well as providing real-time support to clients. At Atlas Games there’s an opening for an RPG Developer and Producer. Responsibilities include identifying projects, managing production, contributing to crowdfunding campaigns, and promoting releases. Blok Party, makers of the PlayTable board game console, has an opportunity for a Marketing Intern. The position is paid and requires fluency in Mandarin. 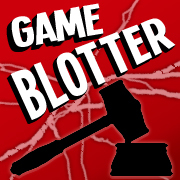 Game Trayz is looking for part-time help 3D modeling board game inserts. BAE Systems has at least two wargame-related positions available on contracts supporting the Marine Corps in Quantico, Virginia. Military experience and security clearances required. Booz Allen Hamilton also has open wargame jobs. Both the Junior Wargame Analyst and the Mid Wargame Analyst position descriptions note “experience with commercial or hobby wargaming, including manual board games” as qualifications. ThinkFun will give away a package of 42 games to 50 different PTA organizations. In recognition of World Teachers’ Day, Goliath is giving away prize packages of seven different games to five winners, and to a teacher designated by each of those winners. The games are Let’s Go Fishin’, Lucky Ducks, Mastermind, Pop the Pig, Sequence, Googly Eyes, and Wordsearch. Ebooks of Pelgrane Press’ Gumshoe games are discounted in a Birthday Sale, up to 75% off. The Open Gaming Store is holding a Warehouse Clearance Sale with 30% discounts for the duration of October. Matt is giving away a Dungeons & Dragons adventure book, either Dragon Heist or Dungeon of the Mad Mage. This West Coast Mommy is giving away two sets of four games each from Pressman: Charades for Kids, Rummikub, Tri-Ominos, and Mastermind. CoolStuffInc is holding a Columbus Day Sale through the upcoming weekend. Tilted Table is giving away two tickets to PAX Unplugged (two separate winners of one ticket each). John Adams is giving away a copy of the Strictly Come Dancing board game, along with two tickets to the Strictly Come Dancing live tour (UK residents only). Another Path is giving away three sets of dice and dice trays. Heck of a Bunch is giving away Horror Trivia from Endless Games. For the upcoming Halloween holiday, Chronicles of Darkness and World of Darkness storyteller screens and deluxe editions are 50% off at Indie Press Revolution. Four deals are currently running at Bundle of Holding. Tunnels & Trolls—At $7.95, the Solitaire Collection includes solo adventures and quickstart rules. At $19, the Gamemaster Collection includes more adventures and the rulebook. Weird War I and Weird War II—Covering Pinnacle Entertainment’s Weird War line. The former supernatural horror during the Great War for Savage Worlds. The latter titles using the d20 system, as well as Savage Worlds World War II. Get everything, both bundles, all four collections, for $38. Palladium Horror—Including Beyond the Supernatural, Nightbane, and Dead Reign games. Chatty Patty’s Place is giving away Happy Salmon from North Star Games. Calliope Games is giving away Dicey Peaks. Worlds Apart and Tabletop Loot are giving away a set of dice. Brawlin’ Brothers is giving away Stonebound Saga and its expansion from Sky Kingdom Games. Emily Reviews is giving away Act Your Wage, a financial education game from Dave Ramsey. Get a free activity book with orders over £25 from Orchard Toys. Spin Master today announced the relaunch of Bakugan in time for the property’s 10th anniversary. 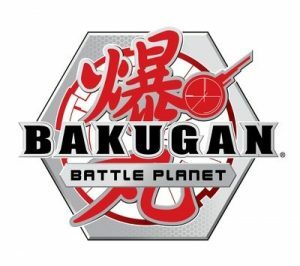 A new animated show, Bakugan Battle Planet, will be broadcast by Cartoon Network in the United States, Europe, and most of the globe, and by Teletoon in Canada. The animated series follows the adventures of Dan and his best friends, the first kids on Earth to bond with the mysterious alien creatures known as the Bakugan. Of course, integrated with the show will be a new toy line featuring the head-to-head battling game with collectible marble-like balls that pop open and transform in to various creatures when rolled over a magnetic card. Spin Master promises “exciting new features that bring revolutionary card and app play,” including graduated play levels, multiplayer games, and alternative strategy options. Bakugan was a huge hit for Spin Master in the 2008-2011 time frame and drove major growth for the company, whose brands now also include Gund, Meccano/Erector, PAW Patrol, Etch A Sketch, Hatchimals, and Air Hogs. Bakugan Battle Planet, the animated series, premiers in North America this December. Bakugan toys will be available in the first quarter of 2019. Partnering with Spin Master on the return of Bakugan are animation companies TMS Entertainment and Nelvana. TakaraTomy will handle Bakugan toys in Japan. 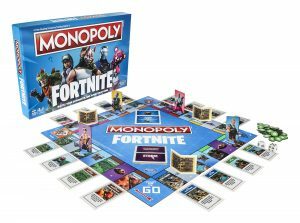 Hasbro is partnering with Epic Games to produce Fortnite-based toys and games. Of course, there’s to be a Fortnite Monopoly (due this fall) but also other unspecified games. Shinobi 7 announced acquisition of the Conan license for tabletop games. Two products are planned. The first, a miniatures game via Kickstarter project. 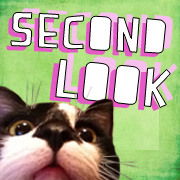 The second, a direct-to-retail card game. With a license from Sony Interactive, Steamforged Games is pursuing plans for a miniatures-heavy Horizon Zero Dawn board game via Kickstarter. Pledges already total more than $1 million, though Steamforged estimates delivery not until March 2020. Things from the Flood is a just-launched Kickstarter RPG project that’s a sequel to Tales from the Loop and based on another of Simon Stålenhag’s art books. The new one from Free League Publishing is more grim and bleak than its predecessor. Coming to Kickstarter on the 1st of October is The Hunger Games: Mockingjay from River Horse. Then scheduled for November 13th is Assassin’s Creed: Brotherhood of Venice from Triton Noir. The company promises a cooperative miniatures game focused on stealth mechanisms. WizKids recently announced a licensing arrangement with WWE. The company will add WWE wrestling personalities to HeroClix and Dice Masters and create WWE board games. Available now from WizKids is Star Trek Galactic Enterprises, a game in which you play as Ferengi. Also available now at retail is Munchkin Starfinder. It’s the Munchkin grab-the-loot card game from Steve Jackson Games, based on the Starfinder sci-fi RPG from Paizo Publishing. 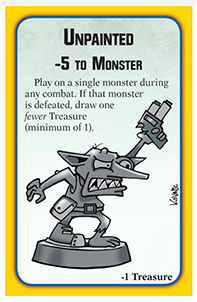 Next up for Munchkin is Munchkin Warhammer 40,000 based on the property from Games Workshop. I love the meta of this previewed card, Unpainted. But Steve Jackson isn’t the only company with a new Warhammer 40,000 license. Devir has made a racing game, Gretchinz, out of the property. WizKids has adapted Warhammer 40K to Dice Masters in Battle for Ultramar. Ulisses did Wrath & Glory, a Warhammer 40,000 roleplaying game. And USAopoly has made Warhammer 40,000 Monopoly. Based on Warhammer Age of Sigmar, PlayFusion recently launched Champions, a collectible card game with an online play option. A non-collectible card game, Warhammer Doomseeker is available from Ninja Division. EN Publishing, under license from Rebellion, is launching a Judge Dredd and the Worlds of 2000AD roleplaying game on Kickstarter. 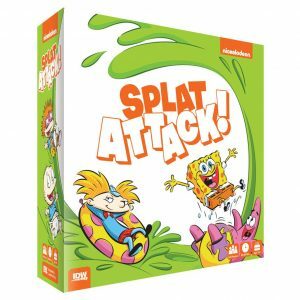 IDW will ship to retail this coming February Nickelodeon Splat Attack!, as well as an expansion, Reptar Rampage. The game represents a food fight between teams of characters from various Nickelodeon shows, including Spongebob Squarepants, Hey Arnold!, Rugrats, and Invader Zim. IDW also signed on with Toei Animation for a series of Dragon Ball games. The first two are due in stores this holiday season. Dragon Ball Super: Heroic Battle has players flicking tokens at each other, while Dragon Ball Z: Over 9000 is supposed to provide a more strategic gameplay experience. In 2019 (after a planned Kickstarter campaign), IDW will release a Dragon Ball Z miniatures game. Coming this fall from USAopoly is the Dragon Ball Z Power Up Board Game in 3D. Also scheduled to deliver soon is a new Disney Chess Set celebrating 90 years of Mickey Mouse. Available now is one celebrating 25 years of Tim Burton’s A Nightmare Before Christmas. The company’s latest Monopoly games include Five Nights at Freddy’s Monopoly, Ren & Stimpy Monopoly, and BoJack Horseman Monopoly. Looney Labs recently released Mary Engelbreit Loonacy, a matching card game with the artwork of Mary Engelbreit. Dog Might Games is now making officially licensed Vampire: The Masquerade dice trays, storyteller screens, and storage boxes, each with a choice of clan symbol. Orders ship with exclusive V5 loresheets tied to the new Geek & Sundry show, LA by Night. Elderwood Academy is taking preorders for a Vampire: The Masquerade Spellbook gaming box made from walnut and leather. It also ships with LA by Night loresheets. While the Transformers TCG doesn’t officially launch for 2 weeks, Hasbro and Wizards of the Coast have announced its first expansion, the Metroplex Deck. Of course it’ll include new battle cards but also a Transformers Metroplex character card nearly 8 inches tall! Metroplex flips between bot and city mode, tapping and damage each enemy. 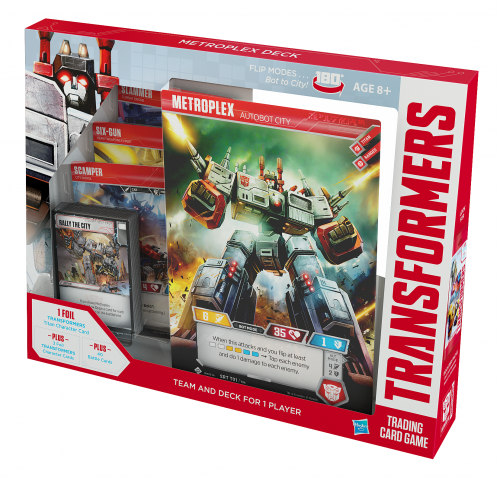 The Transformers TCG Metroplex Deck is scheduled for release November 21st. Cards Against Humanity is recruiting part-time joke writers. Work is remote. Applications due by the 31st. 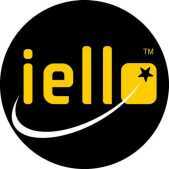 Iello is recruiting for an Executive Assistant to its COO in Goleta, California. Tasks range from administrative to customer service but the work is part-time. Goliath Games has several openings in Plano, Texas: Website/Video Coordinator, Contract Recruiter, and Director of Marketing. There are two openings at Panda Game Manufacturing: one for an Accountant in Hong Kong, one for a Contract Software Developer working remote. Southern Hobby Supply is looking for a Corporate Buyer for miniatures, roleplaying games, and board games, remote but in the Nashville area. The job involves following trends, setting up new products, maintaining relationships with vendors, and working with marketing staff. Forrest-Pruzan Creative in Seattle needs a Production Manager to handle suppliers, vendors, costing, scheduling, and everything that goes in to the manufacturing of board games. Previous experience requires, as is a willingness to travel internationally for extended periods. For its soon-to-open board game cafe in Tempe, Arizona, Snakes & Lattes needs a Front of House Manager. Have at least 5 years of experience pitching consumer products? Check in with Brilliant PR, who’s looking for a Senior Account Manager. I believe the company represents HABA, Educational Insights, and Learning Resources. The Game Design and Development Department of Wilfrid Laurier University in Brantford, Ontario is recruiting for a Research Associate to “lead research efforts on reducing cultural bias in escape room design.” The position is funded by Red Bull for 2 years. Among a number of other jobs open at Spin Master, there’s one for a Project Manager (Queens, New York) to drive execution in games portfolios, and one for a Bakugan Community Development Manager to engage Bakugan players and connect them with the company’s brand teams. ThinkFun (Alexandria, Virginia) is looking for a Junior Product Designer, who’s responsibilities would include preparing product specifications, communicating with manufacturers, developing game concepts, play-testing, and model making.